German PEGIDA movement, which stands against ‘the Islamization of the West’ has canceled next week’s rally in the city of Dresden after threats were issued against one of its top organizers. 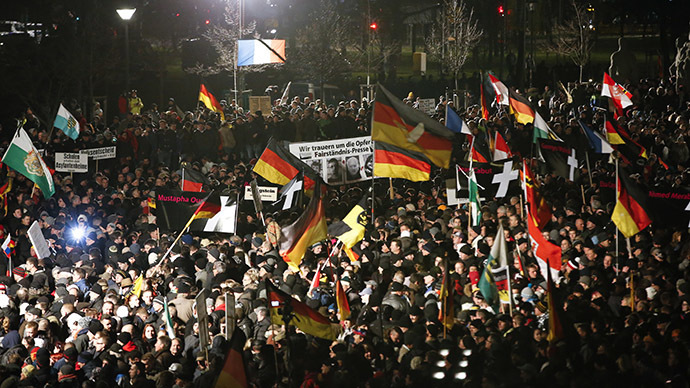 The Patriotic Europeans against the Islamization of the West (PEGIDA) movement has been holding protests every Monday in the eastern German city of Dresden since October. The rallies, which initially gathered no more than 500 people, hit a record attendance of 25,000 last week. According to DPA news agency, the threats were filed by Islamic radicals against the movement’s co-leader, Lutz Bachmann. The German police were informed of the threats against Bachman by foreign secret services, the agency added. A spokesman for the Dresden police said that they had placed a "general ban" on all public gatherings on Monday, Reuters reported. "The police in Dresden have received information of a concrete threat against the weekly PEGIDA rally," a statement by Dresden police said. "Assassins have been called up to mingle among the PEGIDA protestors and murder one of the individuals leading the rally." 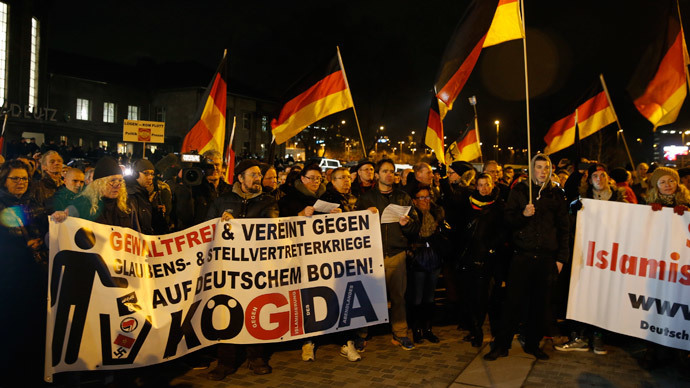 Instead of taking to the streets, PEGIDA called on all Europeans who oppose “religious bigotry any kind” to hang the national flag of their country out of their windows and light a candle on Monday. Security has been tightened all across Europe, following the terrorist attacks in Paris, in which 17 people lost the lives. 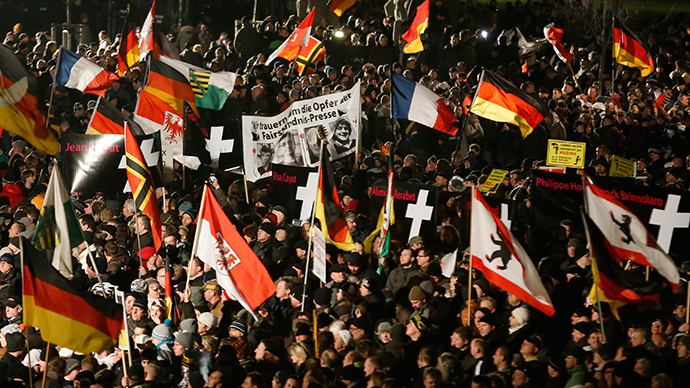 PEGIDA is currently the most supported anti-immigration movement in Germany as rallies by similar organizations in other cities have so far been unable to draw anywhere near as much people.